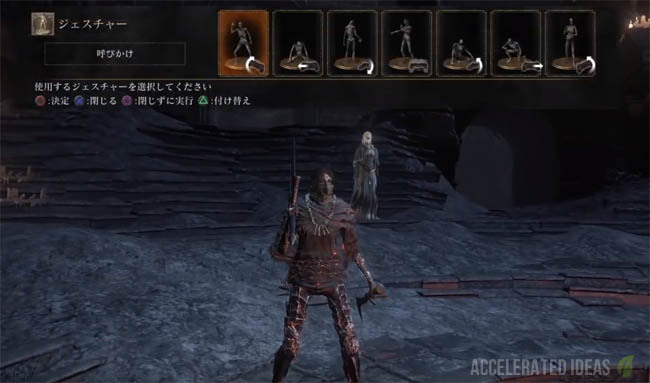 There are 33 Gestures included in Dark Souls 3, some are given to you at the start of the game whilst others must be found and unlocked before you can use them. Gestures are like Emotes in other games, making your character perform an aesthetic action or manoeuvre. A classic example is the bow gesture which as you can probably guess makes your character bow down. As mentioned above, you start with 7 gestures in the game and must find the remaining 26 gestures. One particular gesture will help you reach a secret area of the game (Archdragon Peak, see other guide) whilst other gestures are mostly used for co-op play when you need to signal to other human players or taunt opposing enemies during an invasion. As an interesting easter egg, you can use gestures in front of the Fire Keeper in the Firelink Shrineroom to receive a response from the NPC. Near the Foot of the High Wall bonfire just talk to Yoel of Londor and he will move to Firelink, then talk to him again there. Exchange a homeward bone with the Crows up above the Firelink Shrine bonfire. Speak with Cornyx in the Undead Settlement and he will move to Firelink Shrine, then talk to him again there. Speak with Leonhard when he appears in Firelink Shrine (leaning against the large throne) - he gives you Cracked Red Eye Orbs. Repeat the process again and talk to him - this time he gives you a key to a locked door under the the Tower on the Wall bonfire in High Wall of Lothric. This locked pathway leads to an imprisoned Darkwraith. Kill the Darkwraith to collect the Red Eye Orb and then talk to Leonhard to receive the gesture as a reward. A reward from Anri of Astora at the Church of Yorska bonfire. A reward after you give Siegward his armor when he is by the well near the Cleansing Chapel bonfire. Simply speak to Blacksmith Andre in Firelink. Interact with the Sunlight Altar in Lothric Castle. This location is found by starting at the Dragonslayer Armor bonfire, then backtracking and climbing the ladder on the right side of the building. Follow this route until you reach a room with the Altar. Collected from a red phantom invader that is near the bridge to High Lord Wolnir in the Catacombs of Carthus. Kill Hazel, the red phantom invader in Farron Keep. Next deliver the pale tongue to Rosaria. Once you put out the three flames, Hazel's summon sign will appear next to the tower full of slugs near the Keep Ruins bonfire. Just summon her and you will receive the gesture. Talk to Yuria Of Londor in Firelink. 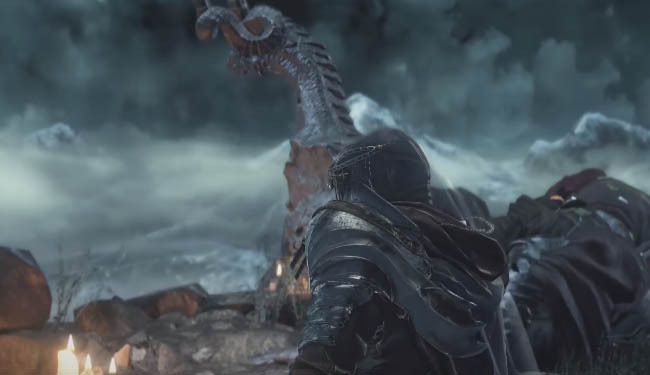 Summon Londor Pale Shade who appears near the Farron Keep Perimeter bonfire and outside Pontiff Sulyvahn (you must have five Dark Sigils that are gained by leveling up five times with Yoel of Londor). Talk to the Watchdogs of Farron (NPC). Given by Sirris of the Sunless Realms in Firelink shrine. Summon Black Hand Gotthard to collect this gesture. His summon sign is available near the Abyss Watchers and Pontiff Sulyvahn. Talk to Irina of Carim after she moves to Firelink. Offered by Orbeck of Vinheim once he moves to Firelink. You might have to return a few scrolls and bought several of his spells before he gives you the gesture (unconfirmed). Sit next to any bonfire and you will get this gesture immediately. Speak with Patches while he's sitting in Firelink. Choose the dialogue option "no" to Patches in Firelink when he asks for forgiveness. A reward from Siegward after helping him fight the Fire Demon. Continue speaking with Siegward after he gives you the "Toast" gesture above. A reward from Greirat in Firelink when you release him from his cell in High Wall. Make sure you give him Loretta's Bone once he relocates to Firelink. The Bone is found on a corpse in the first building in the Undead Settlement. Located on the corpse next to the Profane Capital bonfire. 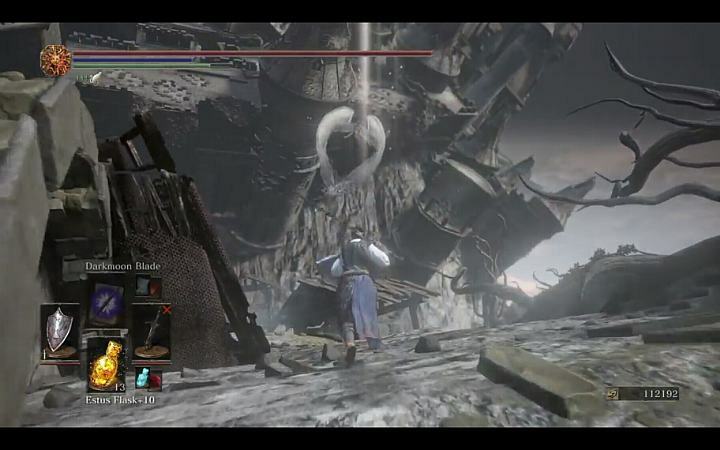 Located on a corpse in the room just after the Oceiros boss room.